I am a network and information security expert specializing in Microsoft technologies. An MCP, MCSE, MCITP Enterprise Administrator, and MCSA, I have traveled around the world speaking to network engineers, security administrators, and IT professionals about Microsoft edge security and remote access solutions. 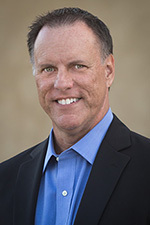 With nearly two decades experience working in large scale corporate computing environments, I have designed and deployed perimeter defense and secure remote access solutions for some of the largest companies in the world. I provide independent consulting services to organizations large and small. In October of 2016 I received my 8th consecutive Microsoft Most Valuable Professional (MVP) for Cloud and Datacenter Management and Enterprise Security. 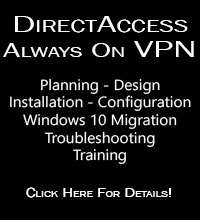 I am currently a PluralSight author, a contributing author for ISAServer.org, WindowSecurity.com, CloudComputingAdmin.com, and the Petri IT Knowledgebase. 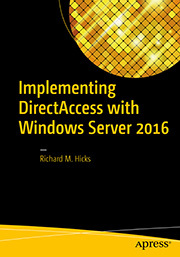 I am also the author of Implementing DirectAccess with Windows Server 2016 (ISBN 978-1484220580) by Apress Media. This book is the definitive guide for planning, implementing, and supporting a DirectAccess solution based on Windows Server 2012 R2 or Windows Server 2016. For more information please visit directaccessbook.com. I live and work in beautiful, sunny Southern California. If you have any questions, please don’t hesitate to send me a note.